Save money by collecting rewards and coupons by downloading our free app. Receive these discounts everyday on your smartphone from local restaurants, bars, grocery stores, cannabis companies and many more. CenterSquare is your easy to use, friendly reminder for savings. 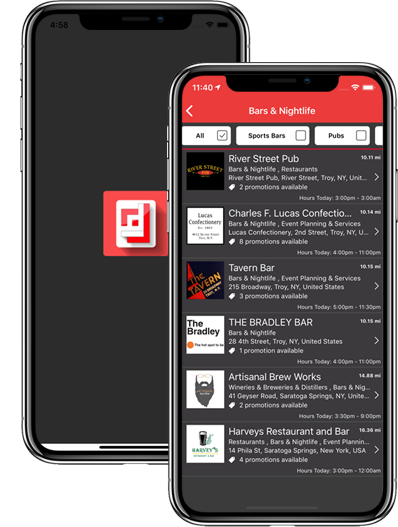 Through your smartphone, CenterSquare delivers your customized loyalty program from your favorite businesses the moment you walk in. It’s easy to create attention-grabbing and relevant reward programs with the CenterSquare App. We make marketing easy. Once a month receive an email about the exciting new updates CenterSquare is offering.